Manchester United could be in a spot of great worry even before their Premier League campaign commences on August 10. A host of problems still persist in their roster, and while initial preparations could solve some of them, the lack of adequate players is an issue that is entirely out of their hands. Jose Mourinho has confirmed that he wishes to make at least two more signings before deadline day. A left-back, a centre-back, a world-class winger, and an alternate striker are all positions that the Red Devils are in need of investing in. While we aren’t sure which of those Mourinho may choose, one player seems confident of ending up at Old Trafford next month. 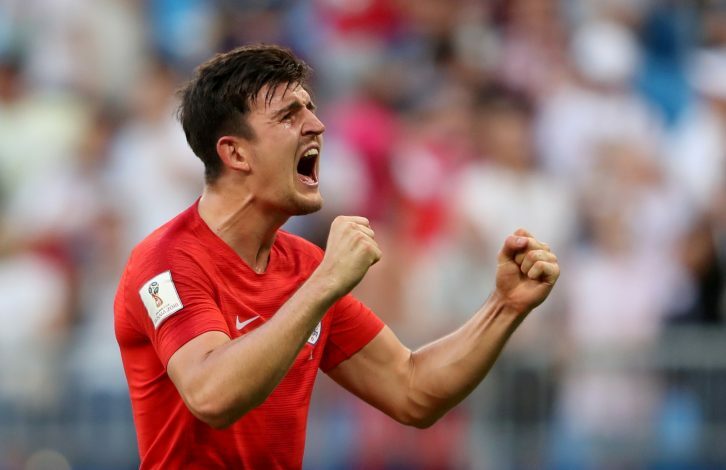 As per the Daily Mail, Leicester City centre-back Harry Maguire is confident that he’ll be a Red Devil by the end of this window. He is rated at £50 million by the Foxes, who are proven to be tough negotiators for their talents, with the Riyad Mahrez to Manchester City saga being clear proof. At the same time, it is quite obvious from his outing with England to Russia during the World Cup that the 25-year-old is an apt investment for Jose Mourinho to look into. To aid this pursuit is their lack of success in the saga to acquire Toby Alderweireld from Tottenham. In the Englishman, they are bound to find a world-class signing who will also have the age factor to show for, a feature that most fans will be eagerly hoping for in view of United’s signings prior to this window. In Dalot and Fred, Mourinho addressed two vital issues that his side faced, and now, if success is to be tasted next season, a transfer of this magnitude is vital. To aid that, the possibility of signing a world-class right-winger is also something supporters will be eager for.